Last week I waxed on about how much I love to read. But I figure those were just words, and actions speak far louder, so I started looking at what I’ve read so far this year and it makes me do a little happy dance to see all the covers next to each other. It tells a story of the adventures I’ve taken this year, and reminds me of the worlds I visited. I feel a sense of accomplishment, looking at them. To date, I’ve read 56 books and counting. 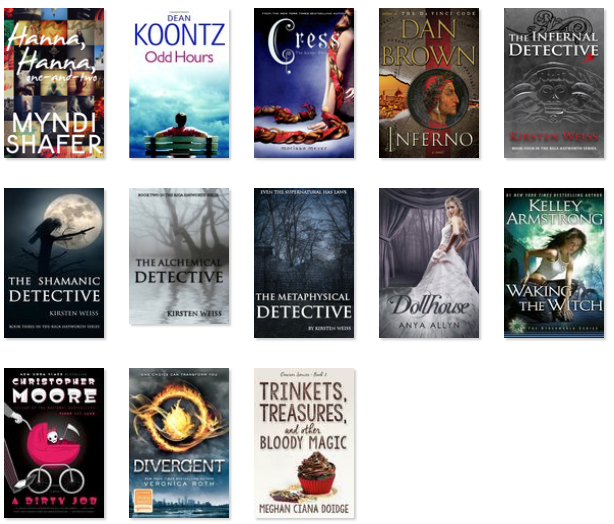 That’s full books…books I actually finished. I never list the ones that I don’t finish or did not like. I also don’t list craft books…things I read to sharpen my saw for writing and story telling. This is just fiction (well, sometimes non-fiction humor type stuff, but mostly fiction). I thought I’d show them a little at a time and tell you what I loved about them. In case you were looking for a good read, too. I keep track of the books I’ve read on Goodreads, so you can follow me there to see what I’m reading anytime. Or read along with me. I love to chat about books, so if you want to discuss feel free to send me a message here, on Goodreads, or on Facebook. Or Twitter. I’m easy to find. Trinkets, Treasures, and other Bloody Magic: I love this world. I love the main character, who owns a bakery where she makes cupcakes. I love the descriptions of the cupcakes and I wish like hell I could be in her shop! Beyond that, our main girl is learning about her particular magic, about her origins, and she’s learning to use it all to protect and save people. Plus, there’s dragons! I gobble these up as soon as a new one comes out. No pun intended. Divergent: I read this because the movie was coming out and I wanted to read the book first. I have to admit, this is one where I liked the movie better, because to me the main character was a little too stiff (yes I know she’s supposed to be somewhat like an Amish person but who said Amish people don’t feel passion?). I just didn’t get into her, and in particular I didn’t agree with the way the world was set up. To me it just didn’t seem plausible. That said…I read it. I finished it. And I enjoyed the movie. I’ll watch the next movie too, because…Four! He’s mighty fine. And I want to see what happens. It turns out I like dystopian, and this scratched that itch. A Dirty Job: A friend recommended this book to me and I found it delightful, fun, humorous and quirky along with some very cool world building. Death, with a baby? What’s not to like! This one reminded me of Neil Gaiman. It’s very well done. Waking the Witch: I love me some Kelley Armstrong! Looking back I realize I need to revisit the whole series because I love the story, the characters, and the world. 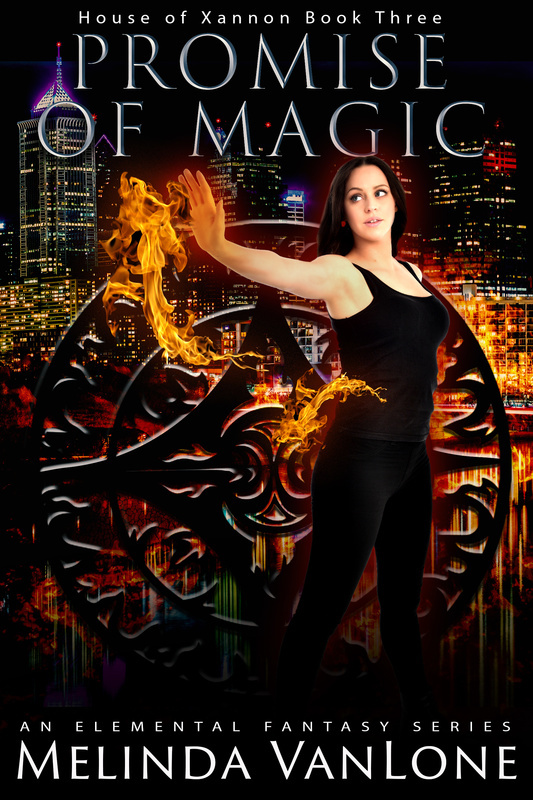 Urban fantasy is my go-to genre and this does not disappoint. Dollhouse: I can’t remember why I picked this up. It’s an interesting story. Fascinating…like watching a fire. It’s young adult and I do get tired of that after awhile but it’s strange and creepy and fantastical and all things odd which kept me hooked. Inferno: I really like Dan Brown’s stories, but I find them very difficult to read. There’s so much history info-dump, and that’s not really my thing. So when I want a Dan Brown story, I listen to it on audio. I highly recommend this. His stories are rich and fascinating, and I’m afraid I’d miss half of it trying to skip the history dumps. I know, most of his fans probably love the history, but I’ve never been a fan. Which goes to show you don’t have to be to enjoy his stories. And this one in particular made my blood run cold. There’s no magic in his story worlds…it’s real. So very real. And I feel like this one in particular could actually happen! Or might have, already. Seriously, a virus let loose in the world, the sole purpose of which is to curb population growth. Creepy, spooky, and the possibilities made my head spin long after I finished the book, because the way the virus operates…let’s just say I have personal experience. Can’t wait to see this as a movie. Plus, Tom Hanks! Cress: I’ve raved about this series before. 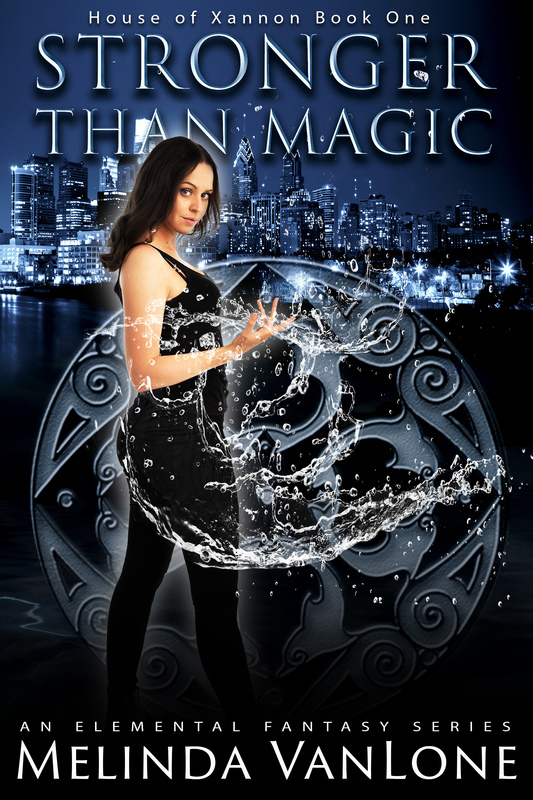 The Lunar Chronicles take fairy tales and spin them in a new, exciting way. The characters are there but rather than feeling surreal they feel…well, real. Like they could exist now. Of course, it’s also science fiction. It’s fairy tale science fiction! If you haven’t read the series, I can’t recommend it enough. Good read, good fun, good for teens and adults. My only regret is the freaking long wait for the next one. Sometimes I want to take traditional publishing and punch it in the face, for making me wait so long. Grrrr. Odd Hours: The Odd Thomas series is another one I typically listen to on audio. I don’t know why, I just find it so enjoyable while I’m walking that I always opt for audio. I love the series. Odd Thomas is fascinating, and a modern day understated hero. He can see dead people. Sorta like Sixth Sense, except he’s an adult. He helps them cross over when he can, solves their murders when he can, or in other ways generally tries to make whatever is going wrong, go right. This particular book finds Odd in the company of a mysterious woman who seems a bit like the Virgin Mary, sorta, and embroiled in a Tesla time machine. Fun stuff. Mostly I just love the voice. Odd’s sense of humor is omnipresent, especially on audio. Love the turns of phrases, the lyrical writing. Love love love. Hanna, Hanna, One-and-Two: This story haunted me long after I finished it. Fascinating world. The idea that one particular person can reset the world…give us a do-over. I love that concept and found this engrossing and thought provoking. So that’s all for today. I don’t want to overload you! There’s plenty more to recommend in the coming weeks.